In order for vitamin B12 to be absorbed in the gastrointestinal tract, it first needs to be bound in the stomach to a protein called R-protein. In the intestines pancreatic proteases cause the R-protein to release vitamin B12 to bind with intrinsic factor, making it absorbable. Thorne Research's Bio-B12 contains methylcobalamin (an active form of vitamin B12) and 5-MTHF (an active form of folate) in a base of papain. Papain is a potent protein-digesting enzyme from papaya that also results in the release of vitamin B12 from the R-protein, thus facilitating the absorption process. Zinc picolinate is included for support of the pancreas, which produces other digestive enzymes that facilitate the absorption process. Methylcobalamin (an active form of vitamin B12) is essential for recycling homocysteine and the formation of methyl donors involved in cardiovascular function, sleep, blood cell formation, and nerve function. 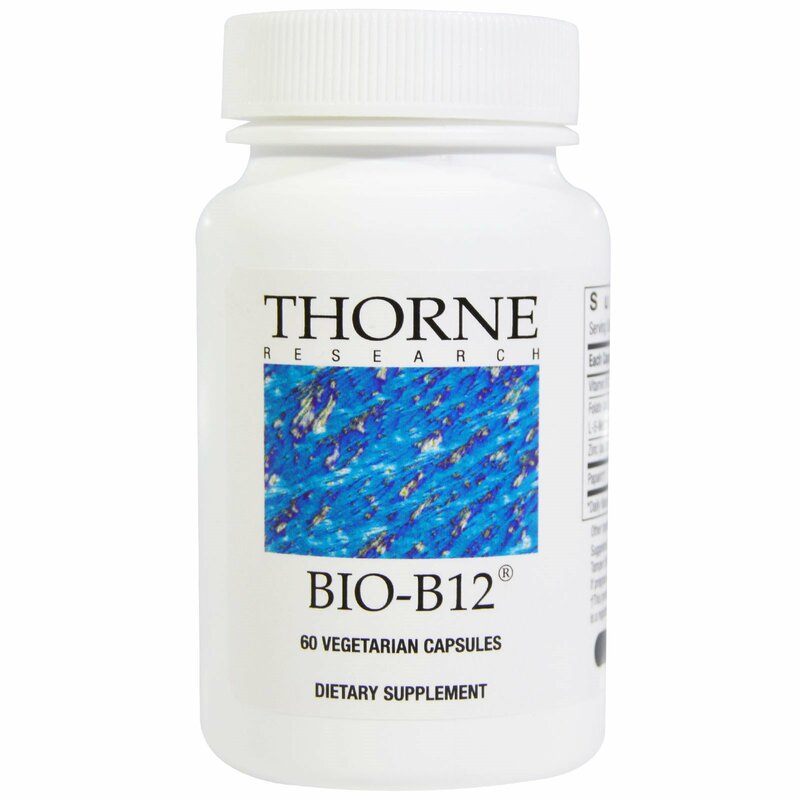 Most vitamin B12 supplements contain cyanocobalamin; however, the liver must first "detoxify" the cyanide molecule and attach a methyl group to form methylcobalamin from the cyanocobalamin. Methylcobalamin is already in the biologically active, tissue-ready form. 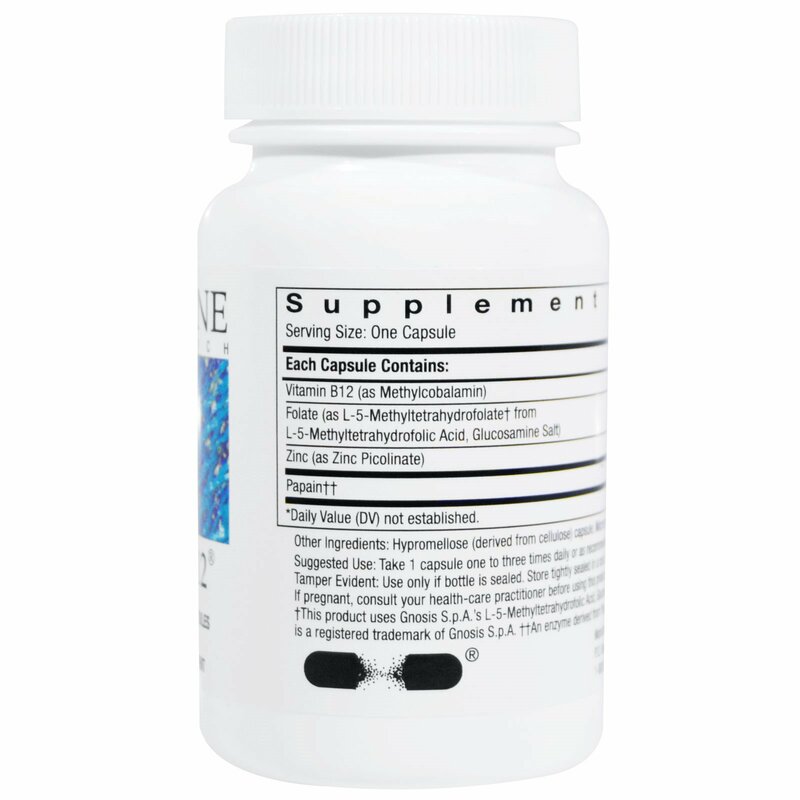 Evidence indicates the body utilizes methylcobalamin more efficiently than it does cyanocobalamin. 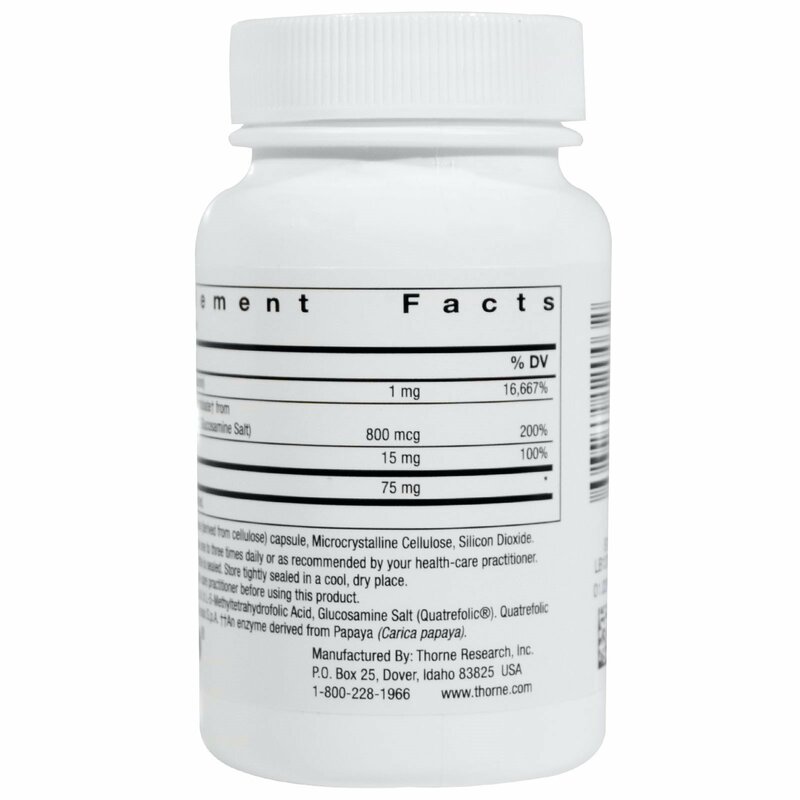 Research shows the quantity of cobalamin detected following a small oral dose of methylcobalamin is similar to the amount following administration of cyanocobalamin; but significantly more cobalamin accumulates in liver tissue following administration of methylcobalamin. Human urinary excretion of methylcobalamin is about one-third that of a similar dose of cyanocobalamin, indicating substantially greater tissue retention. Hypromellose (derived from cellulose) capsule, microcrystalline cellulose, silicon dioxide. †This product uses Gnosis S.p.A.'s L-5-Methyltetrahydrofolic Acid, Glucosamine Salt (Quatrefolic). ††An enzyme derived from Papaya (Carica papaya).